We are hiring for experienced staff for all kitchen positions: Line Cooks, Prep Cooks, and Dishwashers (full-time) for our season. American Spoon Foods is an award winning artisanal fruit-preserving company located in Petoskey, Michigan. Founded in 1982, we craft fruit preserves and condiments in small batches using primarily locally sourced ingredients. At American Spoon, one of our most important assets is great people. We’re looking for a hard workers with a great attitude who wants to be part of the team making award winning, nationally recognized specialty foods. Our Cafe & Gelato is located on Pennsylvania Park in Downtown Petoskey’s Historic Gaslight District. American Spoon Cafe continues to showcase local ingredients-grown, foraged, and raised in Northern Michigan-with fresh innovative cuisine, serving Breakfast & Lunch seven days a week. Ideal candidates will share our passion for great food and commitment to providing excellent Service, and will have experience working in a fast-paced and professional environment. Culinary school (post high school or high school) a plus. Prefer at least 6 months “hands on expreience”. Culinary school (post high school or high school) a plus or at least 6 months hands on experience working in a fast-paced commercial kitchen environment. At least 6 months "hands on" experience working in a fast-paced commercial kitchen. 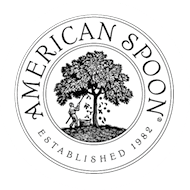 Send background information or resume to hr@spoon.com or stop by the American Spoon Retail Store at 411 East Lake Street, Petoskey Michigan to complete an application.